The article tells about the ideas competition for development of the Burkhan Cape territory in Olkhon district, the Irkutsk region. The peculiarity of this competition is that the participants were invited to demonstrate not only their professional skills, but also their ecological point of view: the project should include the solutions for preservation and revitalization of the nature of Burkhan Cape, as well as the arrangement of tourist flows aimed at decreasing anthropogenic load on the territory with due regard to the ethnic and religious peculiarities of the territory. EREMEEVA, Natalia. The Ideas Competition for Development of the Burkhan Cape Natural Park and the Adjoining Territories. project baikal, Russian Federation, n. 52, p. 86-89, june 2017. ISSN 2309-3072. Available at: <http://projectbaikal.com/index.php/pb/article/view/1171>. Date accessed: 23 apr. 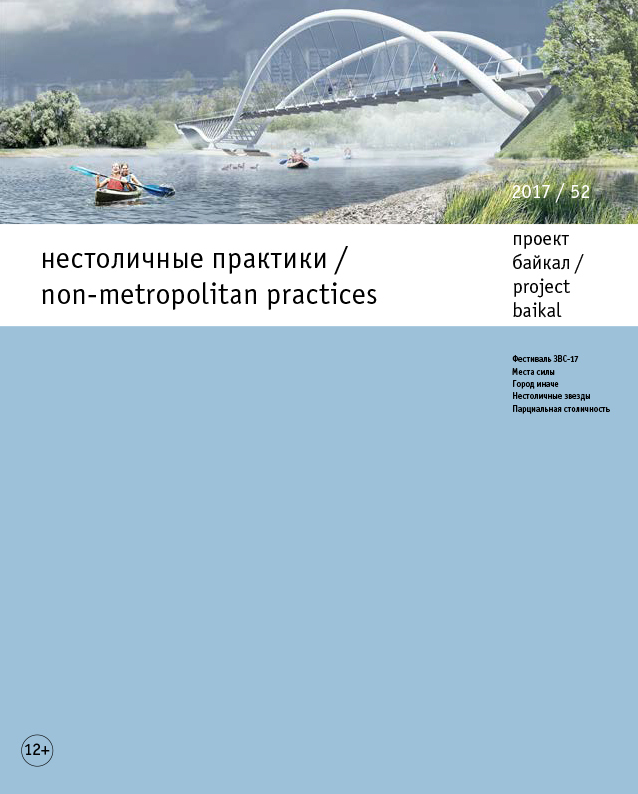 2019. doi: https://doi.org/10.7480/projectbaikal.52.1171.